ECONOMY: Germany has an affluent and technologically powerful economy. The export of goods is one of the main factors of its wealth, these consist of engineering, especially in automobiles, machinery, metals, and chemical goods. Research and development are important factors in economic development, and the Berlin Brandenburg region ranks among the top three innovative regions in the EU. Fast-growing sectors are communications, life sciences, mobility and services as well as information and communication technologies, media and music, advertising and design, biotechnology and environmental services, transportation and medical engineering. Frankfurt is the largest city in the German state of Hesse and the fifth-largest city in Germany. Frankfurt is the financial and transportation centre of Germany. Alcohol & Tobacco costs for alcoholic beverages such as alcohol at bar, beer, locally produced spirit, whiskey, and wine as well as tobacco products such as cigarettes is relatively less expensive compared to other cities with a rank of 224 out of 276. Clothing costs for clothing and footwear products such as business suits, casual clothing, childrens clothing and footwear, coats and hats, evening wear, shoe repairs, and underwear is relatively more expensive compared to other cities with a rank of 60 out of 276. Communication costs for various communication costs such as home telephone rental and call charges, internet connection and service provider fees, mobile / cellular phone contract and calls is relatively more expensive compared to other cities with a rank of 17 out of 276. Education costs such as creche / pre-school fees, high school / college fees, primary school fees, and tertiary study fees is equally expensive on average compared to other cities with a rank of 113 out of 276. Furniture & Appliance costs for furniture, household equipment and household appliances such as dvd player, fridge freezer, iron, kettle, toaster, microwave, light bulbs, television, vacuum cleaner, and washing machine is relatively more expensive compared to other cities with a rank of 64 out of 276. Grocery costs for food, non-alcoholic beverages and cleaning material items such as baby consumables, baked goods, baking, canned foods, cheese, cleaning products, dairy, fresh fruits, fresh vegetables, fruit juices, meat, oil & vinegars, pet food, pre-prepared meals, sauces, seafood, snacks, soft drinks, spices & herbs is equally expensive on average compared to other cities with a rank of 137 out of 276. Healthcare costs for general healthcare, medical and medical insurance such as general practitioner consultation rates, hospital private ward daily rate, non-prescription medicine, and private medical insurance / medical aid contributions is equally expensive on average compared to other cities with a rank of 112 out of 276. Household costs for housing, water, electricity, household gas, household fuels, local rates and residential taxes such as house / flat mortgage, house / flat rental, household electricity consumption, household gas / fuel consumption, household water consumption, and local property rates / taxes / levies is relatively less expensive compared to other cities with a rank of 204 out of 276. Miscellaneous costs related to stationary, linen and general goods and services such as domestic help, dry cleaning, linen, office supplies, newspapers and magazines, and postage stamps is relatively more expensive compared to other cities with a rank of 57 out of 276. Personal Care costs for personal care products and services such as cosmetics, hair care, moisturizer / sun block, nappies, pain relief tablets, toilet paper, toothpaste, and soap / shampoo / conditioner is relatively more expensive compared to other cities with a rank of 36 out of 276. Recreation and Culture costs such as books, camera film, cinema ticket, DVD and CDs, sports goods, and theatre tickets is relatively more expensive compared to other cities with a rank of 85 out of 276. Restaurants, Meals Out and Hotel costs such as business dinner, dinner at a restaurant (non fast food), hotel rates, take away drinks and snacks (fast food) is equally expensive on average compared to other cities with a rank of 124 out of 276. Transport costs for public transport, vehicle costs, vehicle fuel, vehicle insurance and vehicle maintenance such as hire purchase / lease of vehicle, petrol / diesel, public transport service maintenance, tires, vehicle Insurance, and vehicle purchase is relatively more expensive compared to other cities with a rank of 16 out of 276. Your exact customized cost of living index for Frankfurt is based on which of the above basket groups as well as the comparison location you select in the Calculators. In terms of the hardship people are likely to experience, assessed in global terms, Frankfurt is ranked as a minimal hardship location with a hardship index of 10%. Your exact customized hardship index premium for Frankfurt is based on the comparison location that you select in the Calculators. LOCATION: The Republic of Georgia is in South-western Asia, bordering the Black Sea, between Turkey and Russia. ECONOMY: Georgia's main economic activities include the cultivation of agricultural products such as grapes, citrus fruits, and hazelnuts; mining of manganese and copper; and output of a small industrial sector producing alcoholic and non-alcoholic beverages, metals, machinery, and chemicals. Despite the severe damage to the economy due to civil strife, it has made substantial economic gains since 2000 achieving positive GDP growth and curtailing inflation. Georgia is becoming more integrated into the global trading network. Tbilisi is a significant industrial, social, and cultural centre, it is emerging as an important transit route for global energy and trade projects. Alcohol & Tobacco costs for alcoholic beverages such as alcohol at bar, beer, locally produced spirit, whiskey, and wine as well as tobacco products such as cigarettes is relatively more expensive compared to other cities with a rank of 41 out of 276. Clothing costs for clothing and footwear products such as business suits, casual clothing, childrens clothing and footwear, coats and hats, evening wear, shoe repairs, and underwear is relatively more expensive compared to other cities with a rank of 65 out of 276. Communication costs for various communication costs such as home telephone rental and call charges, internet connection and service provider fees, mobile / cellular phone contract and calls is relatively less expensive compared to other cities with a rank of 244 out of 276. Education costs such as creche / pre-school fees, high school / college fees, primary school fees, and tertiary study fees is equally expensive on average compared to other cities with a rank of 126 out of 276. Furniture & Appliance costs for furniture, household equipment and household appliances such as dvd player, fridge freezer, iron, kettle, toaster, microwave, light bulbs, television, vacuum cleaner, and washing machine is relatively less expensive compared to other cities with a rank of 251 out of 276. Grocery costs for food, non-alcoholic beverages and cleaning material items such as baby consumables, baked goods, baking, canned foods, cheese, cleaning products, dairy, fresh fruits, fresh vegetables, fruit juices, meat, oil & vinegars, pet food, pre-prepared meals, sauces, seafood, snacks, soft drinks, spices & herbs is relatively less expensive compared to other cities with a rank of 227 out of 276. Healthcare costs for general healthcare, medical and medical insurance such as general practitioner consultation rates, hospital private ward daily rate, non-prescription medicine, and private medical insurance / medical aid contributions is relatively less expensive compared to other cities with a rank of 221 out of 276. Household costs for housing, water, electricity, household gas, household fuels, local rates and residential taxes such as house / flat mortgage, house / flat rental, household electricity consumption, household gas / fuel consumption, household water consumption, and local property rates / taxes / levies is equally expensive on average compared to other cities with a rank of 182 out of 276. Miscellaneous costs related to stationary, linen and general goods and services such as domestic help, dry cleaning, linen, office supplies, newspapers and magazines, and postage stamps is relatively less expensive compared to other cities with a rank of 244 out of 276. Personal Care costs for personal care products and services such as cosmetics, hair care, moisturizer / sun block, nappies, pain relief tablets, toilet paper, toothpaste, and soap / shampoo / conditioner is relatively less expensive compared to other cities with a rank of 202 out of 276. Recreation and Culture costs such as books, camera film, cinema ticket, DVD and CDs, sports goods, and theatre tickets is relatively less expensive compared to other cities with a rank of 237 out of 276. Restaurants, Meals Out and Hotel costs such as business dinner, dinner at a restaurant (non fast food), hotel rates, take away drinks and snacks (fast food) is relatively less expensive compared to other cities with a rank of 230 out of 276. Transport costs for public transport, vehicle costs, vehicle fuel, vehicle insurance and vehicle maintenance such as hire purchase / lease of vehicle, petrol / diesel, public transport service maintenance, tires, vehicle Insurance, and vehicle purchase is relatively more expensive compared to other cities with a rank of 19 out of 276. Your exact customized cost of living index for Tbilisi is based on which of the above basket groups as well as the comparison location you select in the Calculators. In terms of the hardship people are likely to experience, assessed in global terms, Tbilisi is ranked as a high degree of hardship location with a hardship index of 30%. Your exact customized hardship index premium for Tbilisi is based on the comparison location that you select in the Calculators. ECONOMY: France is in the midst of transition from a well-to-do modern economy that has featured extensive government ownership and intervention to one that relies more on market mechanisms. France is the most visited country in the world and maintains the third largest income in the world from tourism. Paris is today one of the world's leading business and cultural centers, and its influence in politics, education, entertainment, media, fashion, science and the arts all contribute to its status as one of the world's major global cities. Alcohol & Tobacco costs for alcoholic beverages such as alcohol at bar, beer, locally produced spirit, whiskey, and wine as well as tobacco products such as cigarettes is equally expensive on average compared to other cities with a rank of 106 out of 276. Clothing costs for clothing and footwear products such as business suits, casual clothing, childrens clothing and footwear, coats and hats, evening wear, shoe repairs, and underwear is relatively more expensive compared to other cities with a rank of 17 out of 276. Communication costs for various communication costs such as home telephone rental and call charges, internet connection and service provider fees, mobile / cellular phone contract and calls is equally expensive on average compared to other cities with a rank of 100 out of 276. Education costs such as creche / pre-school fees, high school / college fees, primary school fees, and tertiary study fees is relatively more expensive compared to other cities with a rank of 90 out of 276. Furniture & Appliance costs for furniture, household equipment and household appliances such as dvd player, fridge freezer, iron, kettle, toaster, microwave, light bulbs, television, vacuum cleaner, and washing machine is relatively more expensive compared to other cities with a rank of 61 out of 276. Grocery costs for food, non-alcoholic beverages and cleaning material items such as baby consumables, baked goods, baking, canned foods, cheese, cleaning products, dairy, fresh fruits, fresh vegetables, fruit juices, meat, oil & vinegars, pet food, pre-prepared meals, sauces, seafood, snacks, soft drinks, spices & herbs is relatively more expensive compared to other cities with a rank of 43 out of 276. Healthcare costs for general healthcare, medical and medical insurance such as general practitioner consultation rates, hospital private ward daily rate, non-prescription medicine, and private medical insurance / medical aid contributions is relatively more expensive compared to other cities with a rank of 46 out of 276. Household costs for housing, water, electricity, household gas, household fuels, local rates and residential taxes such as house / flat mortgage, house / flat rental, household electricity consumption, household gas / fuel consumption, household water consumption, and local property rates / taxes / levies is relatively more expensive compared to other cities with a rank of 28 out of 276. Miscellaneous costs related to stationary, linen and general goods and services such as domestic help, dry cleaning, linen, office supplies, newspapers and magazines, and postage stamps is relatively more expensive compared to other cities with a rank of 62 out of 276. Personal Care costs for personal care products and services such as cosmetics, hair care, moisturizer / sun block, nappies, pain relief tablets, toilet paper, toothpaste, and soap / shampoo / conditioner is equally expensive on average compared to other cities with a rank of 107 out of 276. Recreation and Culture costs such as books, camera film, cinema ticket, DVD and CDs, sports goods, and theatre tickets is relatively more expensive compared to other cities with a rank of 40 out of 276. Restaurants, Meals Out and Hotel costs such as business dinner, dinner at a restaurant (non fast food), hotel rates, take away drinks and snacks (fast food) is relatively more expensive compared to other cities with a rank of 10 out of 276. Transport costs for public transport, vehicle costs, vehicle fuel, vehicle insurance and vehicle maintenance such as hire purchase / lease of vehicle, petrol / diesel, public transport service maintenance, tires, vehicle Insurance, and vehicle purchase is relatively more expensive compared to other cities with a rank of 14 out of 276. 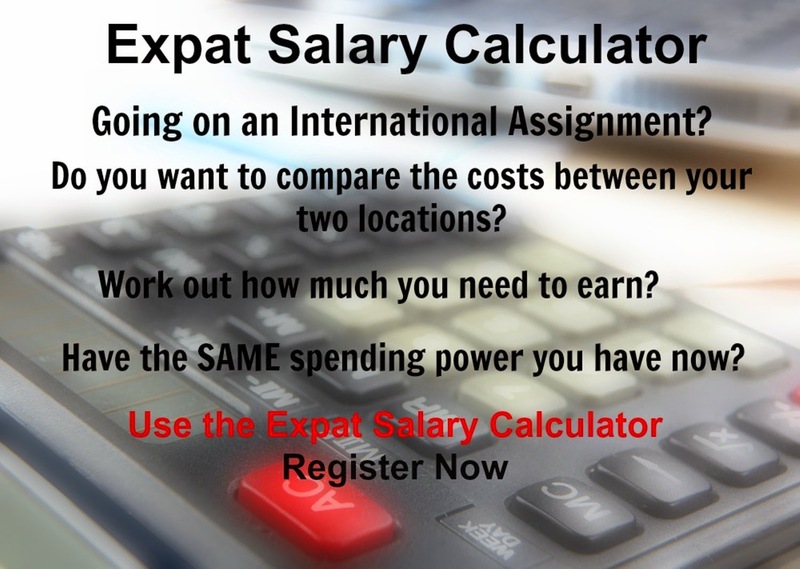 Your exact customized cost of living index for Paris is based on which of the above basket groups as well as the comparison location you select in the Calculators. In terms of the hardship people are likely to experience, assessed in global terms, Paris is ranked as a minimal hardship location with a hardship index of 10%. Your exact customized hardship index premium for Paris is based on the comparison location that you select in the Calculators. ECONOMY: Finland has a highly industrialized, largely free-market economy with per capita output roughly that of the UK, France, Germany, and Italy. Its key economic sector is manufacturing, mainly of the wood, metals, engineering, telecommunications, and electronics industries. The Helsinki metropolitan area generates approximately one third of the Finnish GDP. The economy has become largely service-based, although industries such as shipbuilding continue to employ a substantial number of people. Large service-based employers include the public sector and the information technology sector. Alcohol & Tobacco costs for alcoholic beverages such as alcohol at bar, beer, locally produced spirit, whiskey, and wine as well as tobacco products such as cigarettes is relatively more expensive compared to other cities with a rank of 52 out of 276. Clothing costs for clothing and footwear products such as business suits, casual clothing, childrens clothing and footwear, coats and hats, evening wear, shoe repairs, and underwear is relatively more expensive compared to other cities with a rank of 91 out of 276. Communication costs for various communication costs such as home telephone rental and call charges, internet connection and service provider fees, mobile / cellular phone contract and calls is relatively less expensive compared to other cities with a rank of 225 out of 276. Education costs such as creche / pre-school fees, high school / college fees, primary school fees, and tertiary study fees is equally expensive on average compared to other cities with a rank of 108 out of 276. Furniture & Appliance costs for furniture, household equipment and household appliances such as dvd player, fridge freezer, iron, kettle, toaster, microwave, light bulbs, television, vacuum cleaner, and washing machine is relatively more expensive compared to other cities with a rank of 45 out of 276. Grocery costs for food, non-alcoholic beverages and cleaning material items such as baby consumables, baked goods, baking, canned foods, cheese, cleaning products, dairy, fresh fruits, fresh vegetables, fruit juices, meat, oil & vinegars, pet food, pre-prepared meals, sauces, seafood, snacks, soft drinks, spices & herbs is relatively more expensive compared to other cities with a rank of 58 out of 276. Healthcare costs for general healthcare, medical and medical insurance such as general practitioner consultation rates, hospital private ward daily rate, non-prescription medicine, and private medical insurance / medical aid contributions is relatively more expensive compared to other cities with a rank of 64 out of 276. Household costs for housing, water, electricity, household gas, household fuels, local rates and residential taxes such as house / flat mortgage, house / flat rental, household electricity consumption, household gas / fuel consumption, household water consumption, and local property rates / taxes / levies is relatively more expensive compared to other cities with a rank of 53 out of 276. Miscellaneous costs related to stationary, linen and general goods and services such as domestic help, dry cleaning, linen, office supplies, newspapers and magazines, and postage stamps is relatively more expensive compared to other cities with a rank of 5 out of 276. Personal Care costs for personal care products and services such as cosmetics, hair care, moisturizer / sun block, nappies, pain relief tablets, toilet paper, toothpaste, and soap / shampoo / conditioner is equally expensive on average compared to other cities with a rank of 125 out of 276. Recreation and Culture costs such as books, camera film, cinema ticket, DVD and CDs, sports goods, and theatre tickets is relatively more expensive compared to other cities with a rank of 34 out of 276. Restaurants, Meals Out and Hotel costs such as business dinner, dinner at a restaurant (non fast food), hotel rates, take away drinks and snacks (fast food) is relatively more expensive compared to other cities with a rank of 13 out of 276. Transport costs for public transport, vehicle costs, vehicle fuel, vehicle insurance and vehicle maintenance such as hire purchase / lease of vehicle, petrol / diesel, public transport service maintenance, tires, vehicle Insurance, and vehicle purchase is relatively more expensive compared to other cities with a rank of 22 out of 276. Your exact customized cost of living index for Helsinki is based on which of the above basket groups as well as the comparison location you select in the Calculators. In terms of the hardship people are likely to experience, assessed in global terms, Helsinki is ranked as a minimal hardship location with a hardship index of 10%. Your exact customized hardship index premium for Helsinki is based on the comparison location that you select in the Calculators. LOCATION: The Falkland Islands are islands in the South Atlantic Ocean, east of southern Argentina. ECONOMY: The economy was formerly based on agriculture, but today fishing contributes the bulk of economic activity. Dairy farming supports domestic consumption; crops furnish winter fodder. Exports feature shipments of high-grade wool to the UK and the sale of postage stamps and coins. The islands are now self-financing except for defense. Tourism, especially eco-tourism, is increasing rapidly. Alcohol & Tobacco costs for alcoholic beverages such as alcohol at bar, beer, locally produced spirit, whiskey, and wine as well as tobacco products such as cigarettes is relatively less expensive compared to other cities with a rank of 187 out of 276. Clothing costs for clothing and footwear products such as business suits, casual clothing, childrens clothing and footwear, coats and hats, evening wear, shoe repairs, and underwear is relatively less expensive compared to other cities with a rank of 185 out of 276. Communication costs for various communication costs such as home telephone rental and call charges, internet connection and service provider fees, mobile / cellular phone contract and calls is relatively less expensive compared to other cities with a rank of 238 out of 276. Education costs such as creche / pre-school fees, high school / college fees, primary school fees, and tertiary study fees is equally expensive on average compared to other cities with a rank of 97 out of 276. Furniture & Appliance costs for furniture, household equipment and household appliances such as dvd player, fridge freezer, iron, kettle, toaster, microwave, light bulbs, television, vacuum cleaner, and washing machine is equally expensive on average compared to other cities with a rank of 178 out of 276. Grocery costs for food, non-alcoholic beverages and cleaning material items such as baby consumables, baked goods, baking, canned foods, cheese, cleaning products, dairy, fresh fruits, fresh vegetables, fruit juices, meat, oil & vinegars, pet food, pre-prepared meals, sauces, seafood, snacks, soft drinks, spices & herbs is equally expensive on average compared to other cities with a rank of 184 out of 276. Healthcare costs for general healthcare, medical and medical insurance such as general practitioner consultation rates, hospital private ward daily rate, non-prescription medicine, and private medical insurance / medical aid contributions is relatively more expensive compared to other cities with a rank of 74 out of 276. Household costs for housing, water, electricity, household gas, household fuels, local rates and residential taxes such as house / flat mortgage, house / flat rental, household electricity consumption, household gas / fuel consumption, household water consumption, and local property rates / taxes / levies is relatively more expensive compared to other cities with a rank of 27 out of 276. Miscellaneous costs related to stationary, linen and general goods and services such as domestic help, dry cleaning, linen, office supplies, newspapers and magazines, and postage stamps is relatively more expensive compared to other cities with a rank of 41 out of 276. Personal Care costs for personal care products and services such as cosmetics, hair care, moisturizer / sun block, nappies, pain relief tablets, toilet paper, toothpaste, and soap / shampoo / conditioner is relatively more expensive compared to other cities with a rank of 90 out of 276. Recreation and Culture costs such as books, camera film, cinema ticket, DVD and CDs, sports goods, and theatre tickets is equally expensive on average compared to other cities with a rank of 178 out of 276. Restaurants, Meals Out and Hotel costs such as business dinner, dinner at a restaurant (non fast food), hotel rates, take away drinks and snacks (fast food) is relatively more expensive compared to other cities with a rank of 81 out of 276. Transport costs for public transport, vehicle costs, vehicle fuel, vehicle insurance and vehicle maintenance such as hire purchase / lease of vehicle, petrol / diesel, public transport service maintenance, tires, vehicle Insurance, and vehicle purchase is equally expensive on average compared to other cities with a rank of 93 out of 276. Your exact customized cost of living index for Stanley is based on which of the above basket groups as well as the comparison location you select in the Calculators. In terms of the hardship people are likely to experience, assessed in global terms, Stanley is ranked as a high degree of hardship location with a hardship index of 30%. Your exact customized hardship index premium for Stanley is based on the comparison location that you select in the Calculators. ECONOMY: Ethiopia's poverty-stricken economy is based on agriculture, accounting for almost half of its GDP. Crops include coffee, pulses (e.g., beans), oilseeds, cereals, potatoes, sugarcane, and vegetables. Exports consist almost entirely on agricultural commodities, with coffee being the largest foreign exchange earner. The economic activities in Addis Ababa are diverse, constituting trade and commerce; manufacturing and industry; civil administration; transport and communication; education, health and social services; hotel and catering services; and agriculture. Alcohol & Tobacco costs for alcoholic beverages such as alcohol at bar, beer, locally produced spirit, whiskey, and wine as well as tobacco products such as cigarettes is relatively more expensive compared to other cities with a rank of 30 out of 276. Clothing costs for clothing and footwear products such as business suits, casual clothing, childrens clothing and footwear, coats and hats, evening wear, shoe repairs, and underwear is equally expensive on average compared to other cities with a rank of 142 out of 276. Communication costs for various communication costs such as home telephone rental and call charges, internet connection and service provider fees, mobile / cellular phone contract and calls is equally expensive on average compared to other cities with a rank of 153 out of 276. Education costs such as creche / pre-school fees, high school / college fees, primary school fees, and tertiary study fees is equally expensive on average compared to other cities with a rank of 140 out of 276. Furniture & Appliance costs for furniture, household equipment and household appliances such as dvd player, fridge freezer, iron, kettle, toaster, microwave, light bulbs, television, vacuum cleaner, and washing machine is equally expensive on average compared to other cities with a rank of 129 out of 276. Grocery costs for food, non-alcoholic beverages and cleaning material items such as baby consumables, baked goods, baking, canned foods, cheese, cleaning products, dairy, fresh fruits, fresh vegetables, fruit juices, meat, oil & vinegars, pet food, pre-prepared meals, sauces, seafood, snacks, soft drinks, spices & herbs is equally expensive on average compared to other cities with a rank of 183 out of 276. Healthcare costs for general healthcare, medical and medical insurance such as general practitioner consultation rates, hospital private ward daily rate, non-prescription medicine, and private medical insurance / medical aid contributions is relatively less expensive compared to other cities with a rank of 209 out of 276. Household costs for housing, water, electricity, household gas, household fuels, local rates and residential taxes such as house / flat mortgage, house / flat rental, household electricity consumption, household gas / fuel consumption, household water consumption, and local property rates / taxes / levies is relatively less expensive compared to other cities with a rank of 239 out of 276. Miscellaneous costs related to stationary, linen and general goods and services such as domestic help, dry cleaning, linen, office supplies, newspapers and magazines, and postage stamps is relatively more expensive compared to other cities with a rank of 46 out of 276. Personal Care costs for personal care products and services such as cosmetics, hair care, moisturizer / sun block, nappies, pain relief tablets, toilet paper, toothpaste, and soap / shampoo / conditioner is equally expensive on average compared to other cities with a rank of 149 out of 276. Recreation and Culture costs such as books, camera film, cinema ticket, DVD and CDs, sports goods, and theatre tickets is relatively less expensive compared to other cities with a rank of 267 out of 276. Restaurants, Meals Out and Hotel costs such as business dinner, dinner at a restaurant (non fast food), hotel rates, take away drinks and snacks (fast food) is equally expensive on average compared to other cities with a rank of 113 out of 276. Transport costs for public transport, vehicle costs, vehicle fuel, vehicle insurance and vehicle maintenance such as hire purchase / lease of vehicle, petrol / diesel, public transport service maintenance, tires, vehicle Insurance, and vehicle purchase is relatively less expensive compared to other cities with a rank of 193 out of 276. Your exact customized cost of living index for Addis Ababa is based on which of the above basket groups as well as the comparison location you select in the Calculators. In terms of the hardship people are likely to experience, assessed in global terms, Addis Ababa is ranked as a high degree of hardship location with a hardship index of 30%. Your exact customized hardship index premium for Addis Ababa is based on the comparison location that you select in the Calculators. LOCATION: Equatorial Guinea is in Western Africa, bordering the Bight of Biafra, between Cameroon and Gabon. ECONOMY: Pre-independence Equatorial Guinea counted on cocoa production for hard currency earnings. The discovery of large oil reserves in 1996 and its subsequent exploitation have contributed to a dramatic increase in government revenue. Equatorial Guinea is one of the largest oil producers in Sub-Saharan Africa. Equatorial Guinea has one of the highest per capita incomes in the world. Many people however live in poverty. Forestry, farming, and fishing are also major components of GDP. Alcohol & Tobacco costs for alcoholic beverages such as alcohol at bar, beer, locally produced spirit, whiskey, and wine as well as tobacco products such as cigarettes is relatively less expensive compared to other cities with a rank of 262 out of 276. Clothing costs for clothing and footwear products such as business suits, casual clothing, childrens clothing and footwear, coats and hats, evening wear, shoe repairs, and underwear is equally expensive on average compared to other cities with a rank of 105 out of 276. Communication costs for various communication costs such as home telephone rental and call charges, internet connection and service provider fees, mobile / cellular phone contract and calls is relatively less expensive compared to other cities with a rank of 231 out of 276. Education costs such as creche / pre-school fees, high school / college fees, primary school fees, and tertiary study fees is relatively more expensive compared to other cities with a rank of 86 out of 276. Furniture & Appliance costs for furniture, household equipment and household appliances such as dvd player, fridge freezer, iron, kettle, toaster, microwave, light bulbs, television, vacuum cleaner, and washing machine is relatively less expensive compared to other cities with a rank of 272 out of 276. Grocery costs for food, non-alcoholic beverages and cleaning material items such as baby consumables, baked goods, baking, canned foods, cheese, cleaning products, dairy, fresh fruits, fresh vegetables, fruit juices, meat, oil & vinegars, pet food, pre-prepared meals, sauces, seafood, snacks, soft drinks, spices & herbs is equally expensive on average compared to other cities with a rank of 169 out of 276. Healthcare costs for general healthcare, medical and medical insurance such as general practitioner consultation rates, hospital private ward daily rate, non-prescription medicine, and private medical insurance / medical aid contributions is equally expensive on average compared to other cities with a rank of 134 out of 276. Household costs for housing, water, electricity, household gas, household fuels, local rates and residential taxes such as house / flat mortgage, house / flat rental, household electricity consumption, household gas / fuel consumption, household water consumption, and local property rates / taxes / levies is equally expensive on average compared to other cities with a rank of 113 out of 276. Miscellaneous costs related to stationary, linen and general goods and services such as domestic help, dry cleaning, linen, office supplies, newspapers and magazines, and postage stamps is relatively less expensive compared to other cities with a rank of 233 out of 276. Personal Care costs for personal care products and services such as cosmetics, hair care, moisturizer / sun block, nappies, pain relief tablets, toilet paper, toothpaste, and soap / shampoo / conditioner is equally expensive on average compared to other cities with a rank of 105 out of 276. Recreation and Culture costs such as books, camera film, cinema ticket, DVD and CDs, sports goods, and theatre tickets is relatively less expensive compared to other cities with a rank of 275 out of 276. Restaurants, Meals Out and Hotel costs such as business dinner, dinner at a restaurant (non fast food), hotel rates, take away drinks and snacks (fast food) is relatively more expensive compared to other cities with a rank of 19 out of 276. Transport costs for public transport, vehicle costs, vehicle fuel, vehicle insurance and vehicle maintenance such as hire purchase / lease of vehicle, petrol / diesel, public transport service maintenance, tires, vehicle Insurance, and vehicle purchase is equally expensive on average compared to other cities with a rank of 100 out of 276. Your exact customized cost of living index for Malabo is based on which of the above basket groups as well as the comparison location you select in the Calculators. In terms of the hardship people are likely to experience, assessed in global terms, Malabo is ranked as an extreme hardship location with a hardship index of 40%. Your exact customized hardship index premium for Malabo is based on the comparison location that you select in the Calculators. ECONOMY: El Salvador is one of the smallest countries in Central America but has one of the larger economies. Alcohol & Tobacco costs for alcoholic beverages such as alcohol at bar, beer, locally produced spirit, whiskey, and wine as well as tobacco products such as cigarettes is relatively less expensive compared to other cities with a rank of 263 out of 276. Clothing costs for clothing and footwear products such as business suits, casual clothing, childrens clothing and footwear, coats and hats, evening wear, shoe repairs, and underwear is relatively less expensive compared to other cities with a rank of 233 out of 276. Communication costs for various communication costs such as home telephone rental and call charges, internet connection and service provider fees, mobile / cellular phone contract and calls is equally expensive on average compared to other cities with a rank of 164 out of 276. Education costs such as creche / pre-school fees, high school / college fees, primary school fees, and tertiary study fees is equally expensive on average compared to other cities with a rank of 141 out of 276. Furniture & Appliance costs for furniture, household equipment and household appliances such as dvd player, fridge freezer, iron, kettle, toaster, microwave, light bulbs, television, vacuum cleaner, and washing machine is relatively less expensive compared to other cities with a rank of 233 out of 276. Grocery costs for food, non-alcoholic beverages and cleaning material items such as baby consumables, baked goods, baking, canned foods, cheese, cleaning products, dairy, fresh fruits, fresh vegetables, fruit juices, meat, oil & vinegars, pet food, pre-prepared meals, sauces, seafood, snacks, soft drinks, spices & herbs is relatively less expensive compared to other cities with a rank of 267 out of 276. Healthcare costs for general healthcare, medical and medical insurance such as general practitioner consultation rates, hospital private ward daily rate, non-prescription medicine, and private medical insurance / medical aid contributions is relatively less expensive compared to other cities with a rank of 234 out of 276. Household costs for housing, water, electricity, household gas, household fuels, local rates and residential taxes such as house / flat mortgage, house / flat rental, household electricity consumption, household gas / fuel consumption, household water consumption, and local property rates / taxes / levies is equally expensive on average compared to other cities with a rank of 145 out of 276. Miscellaneous costs related to stationary, linen and general goods and services such as domestic help, dry cleaning, linen, office supplies, newspapers and magazines, and postage stamps is relatively less expensive compared to other cities with a rank of 196 out of 276. Personal Care costs for personal care products and services such as cosmetics, hair care, moisturizer / sun block, nappies, pain relief tablets, toilet paper, toothpaste, and soap / shampoo / conditioner is relatively less expensive compared to other cities with a rank of 213 out of 276. Recreation and Culture costs such as books, camera film, cinema ticket, DVD and CDs, sports goods, and theatre tickets is equally expensive on average compared to other cities with a rank of 106 out of 276. Restaurants, Meals Out and Hotel costs such as business dinner, dinner at a restaurant (non fast food), hotel rates, take away drinks and snacks (fast food) is relatively less expensive compared to other cities with a rank of 250 out of 276. Transport costs for public transport, vehicle costs, vehicle fuel, vehicle insurance and vehicle maintenance such as hire purchase / lease of vehicle, petrol / diesel, public transport service maintenance, tires, vehicle Insurance, and vehicle purchase is relatively less expensive compared to other cities with a rank of 215 out of 276. Your exact customized cost of living index for San Salvador is based on which of the above basket groups as well as the comparison location you select in the Calculators. In terms of the hardship people are likely to experience, assessed in global terms, San Salvador is ranked as an extreme hardship location with a hardship index of 40%. Your exact customized hardship index premium for San Salvador is based on the comparison location that you select in the Calculators. LOCATION: Egypt is in Northern Africa, bordering the Mediterranean Sea, between Libya and the Gaza Strip, and the Red Sea north of Sudan, and includes the Asian Sinai Peninsula. ECONOMY: Egypt's economy depends mainly on agriculture, media, petroleum exports, and tourism. Egypt has a developed energy market based on coal, oil, natural gas, and hydro power. Economic conditions have started to improve considerably after a period of stagnation from the adoption of more liberal economic policies by the government. The IT sector has been expanding rapidly in the past few years, with many new start-ups conducting outsourcing business to North America and Europe, operating with companies such as Microsoft, Oracle and other major corporations, as well as numerous SME's. Cairo houses publishing houses, media outlets and film studios. Cairo is the most populous metropolitan area in Africa. Alcohol & Tobacco costs for alcoholic beverages such as alcohol at bar, beer, locally produced spirit, whiskey, and wine as well as tobacco products such as cigarettes is equally expensive on average compared to other cities with a rank of 140 out of 276. Clothing costs for clothing and footwear products such as business suits, casual clothing, childrens clothing and footwear, coats and hats, evening wear, shoe repairs, and underwear is equally expensive on average compared to other cities with a rank of 138 out of 276. Communication costs for various communication costs such as home telephone rental and call charges, internet connection and service provider fees, mobile / cellular phone contract and calls is relatively less expensive compared to other cities with a rank of 246 out of 276. Education costs such as creche / pre-school fees, high school / college fees, primary school fees, and tertiary study fees is relatively less expensive compared to other cities with a rank of 267 out of 276. Furniture & Appliance costs for furniture, household equipment and household appliances such as dvd player, fridge freezer, iron, kettle, toaster, microwave, light bulbs, television, vacuum cleaner, and washing machine is relatively less expensive compared to other cities with a rank of 235 out of 276. Grocery costs for food, non-alcoholic beverages and cleaning material items such as baby consumables, baked goods, baking, canned foods, cheese, cleaning products, dairy, fresh fruits, fresh vegetables, fruit juices, meat, oil & vinegars, pet food, pre-prepared meals, sauces, seafood, snacks, soft drinks, spices & herbs is relatively more expensive compared to other cities with a rank of 83 out of 276. Healthcare costs for general healthcare, medical and medical insurance such as general practitioner consultation rates, hospital private ward daily rate, non-prescription medicine, and private medical insurance / medical aid contributions is equally expensive on average compared to other cities with a rank of 162 out of 276. Household costs for housing, water, electricity, household gas, household fuels, local rates and residential taxes such as house / flat mortgage, house / flat rental, household electricity consumption, household gas / fuel consumption, household water consumption, and local property rates / taxes / levies is relatively less expensive compared to other cities with a rank of 206 out of 276. Miscellaneous costs related to stationary, linen and general goods and services such as domestic help, dry cleaning, linen, office supplies, newspapers and magazines, and postage stamps is equally expensive on average compared to other cities with a rank of 184 out of 276. Personal Care costs for personal care products and services such as cosmetics, hair care, moisturizer / sun block, nappies, pain relief tablets, toilet paper, toothpaste, and soap / shampoo / conditioner is equally expensive on average compared to other cities with a rank of 148 out of 276. Recreation and Culture costs such as books, camera film, cinema ticket, DVD and CDs, sports goods, and theatre tickets is equally expensive on average compared to other cities with a rank of 105 out of 276. Restaurants, Meals Out and Hotel costs such as business dinner, dinner at a restaurant (non fast food), hotel rates, take away drinks and snacks (fast food) is relatively more expensive compared to other cities with a rank of 60 out of 276. Transport costs for public transport, vehicle costs, vehicle fuel, vehicle insurance and vehicle maintenance such as hire purchase / lease of vehicle, petrol / diesel, public transport service maintenance, tires, vehicle Insurance, and vehicle purchase is relatively less expensive compared to other cities with a rank of 254 out of 276. Your exact customized cost of living index for Cairo is based on which of the above basket groups as well as the comparison location you select in the Calculators. In terms of the hardship people are likely to experience, assessed in global terms, Cairo is ranked as a high degree of hardship location with a hardship index of 30%. Your exact customized hardship index premium for Cairo is based on the comparison location that you select in the Calculators.